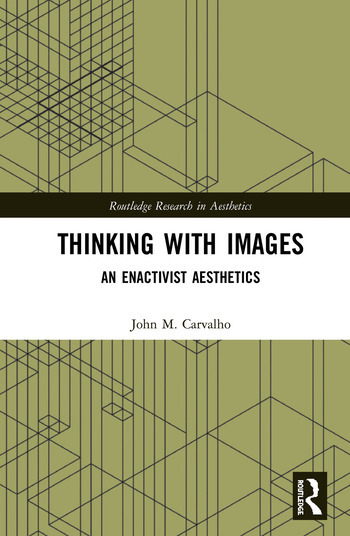 This book advances an enactivist theory of aesthetics through the study of inscrutable artworks that challenge us to think because we do not know what to think about them. John M. Carvalho presents detailed analyses a four artworks that share this unique characteristic: Francis Bacon’s Study After Velázquez’s Portrait of Pope Innocent X (1953), the photographs of Duane Michals, based on a retrospective of his work, Storyteller, at the Carnegie Museum of Art (2014), Étant donnés (1968) by Marcel Duchamp, and Jean-Luc Godard’s 1963 film Le Mépris (released in the United States as Contempt). Carvalho argues against the application of theory to derive appreciation or meaning from these artistic works. Rather, each study enacts an embodied cognitive engagement with the specific artworks intended to demonstrate the value of thinking about artworks that might be extended to our engagement with the world in general. This thinking happens, as these studies show, when we trust our embodied skills and their guide to what artworks and the world around us afford for the activation and refinement of those skills. Thinking with Images will be of interest to scholars working in the philosophy of art and philosophical aesthetics, as well as art historians concerned with the meaning and value of contemporary art. John M Carvalho is Professor of Philosophy at Villanova University where he teaches graduate seminars on aesthetics and undergraduate courses on contemporary music and film. He is the author of "Annunciations: Figuring the Feminine in Renaissance Painting," A Strange Fruit: Music Between Violence and Death, and many more essays on aesthetics.